If country is your wedding theme, you can show your country style wedding with unique details from the decor, table setting to the bombonieres to take home. These six country wedding ideas will help you create an elegant country affair. 1. A Country Style Wedding Venue. 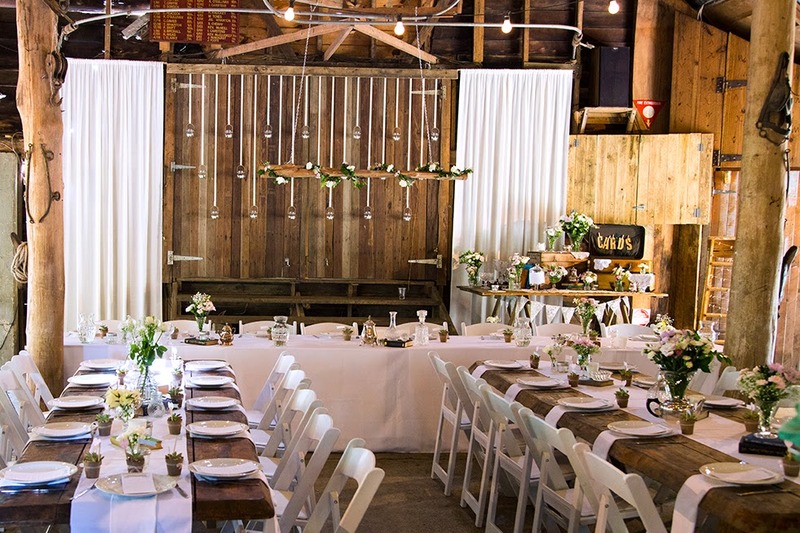 If you are lucky enough perhaps you can find an actual barn that can be hired as your wedding venue. We found this super gorgeous place located in the Gold Coast, called Hitched at the Boomerang Farm. A lace tablecloth with gold embellishment provides an elegant foundation for an upscale country event. 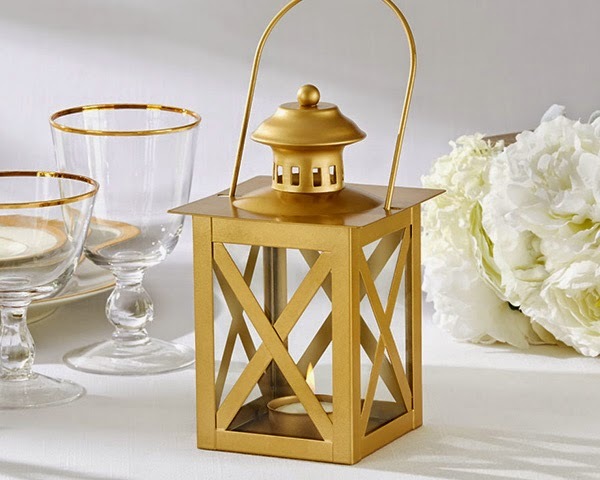 Use a brown or off white napkins to match and decorate your guest tables and bridal table with this elegant Gold Lantern. 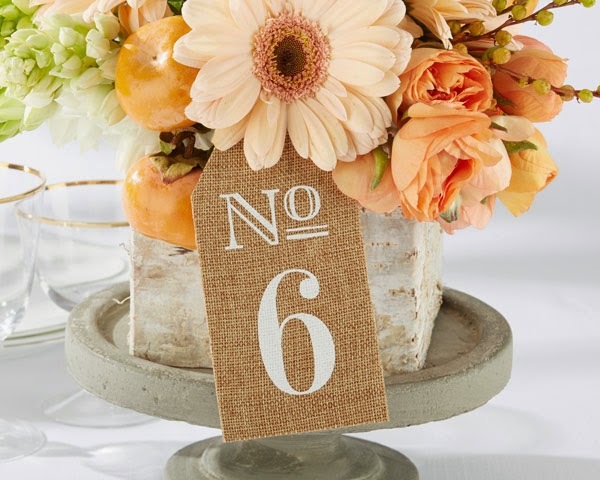 Don't forget our Burlap Table Numbers (available from number 1-18) to complete the Country look of your guest tables. 3. 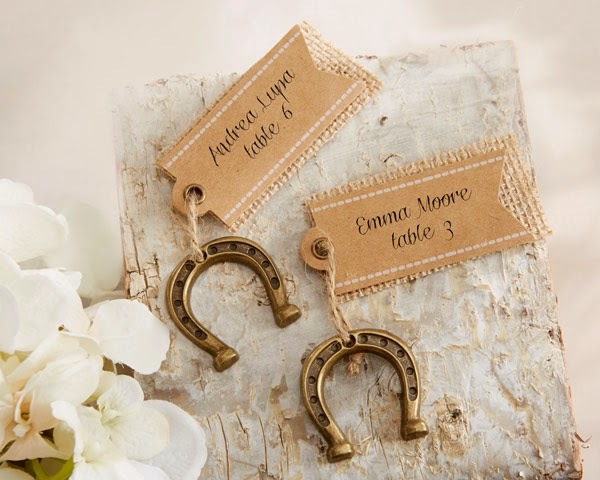 Country Style Place Card Holders. To guide guests to their seat, we have 3 unique place card holders that will accentuate your Country Style Wedding. You'll be surprise how easy it is to create a classic Country look for your event, just by simply adding these gorgeous Place Card Holders on your tables. You'll definitely go WOW yourself when you see them. 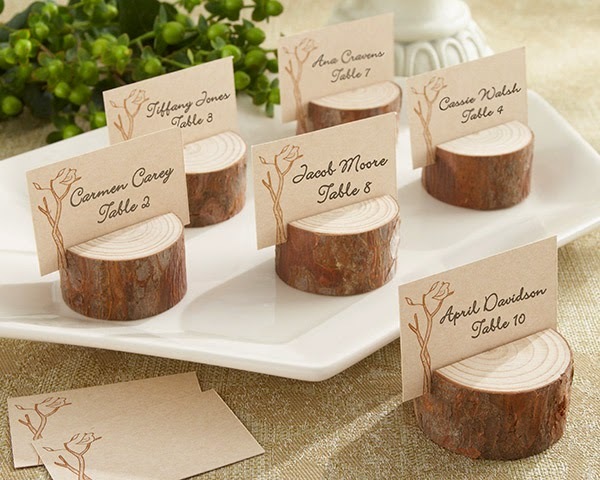 Remember that all these place card holders also come with the cards to put your guests' names too! No need to run around finding and cutting your own cards. Simply hand write your guests' names for a personal touch! 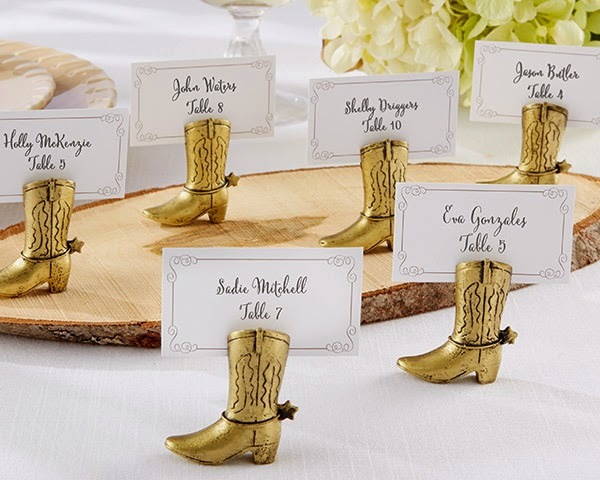 Our Cowboy Boot Place Card Holder or Rustic Real-Wood Place Card Holder. 4. The Naked Cake Trend. 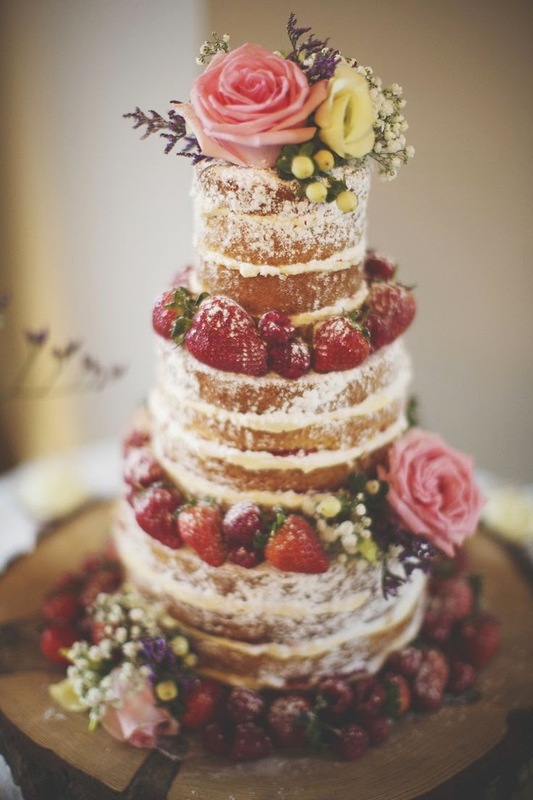 This cake by Cake Sweet Cake in the UK definitely look too good to eat and it's just perfect for a Country Wedding. Photography by Jen Marino via Rock My Wedding Blog. 5. 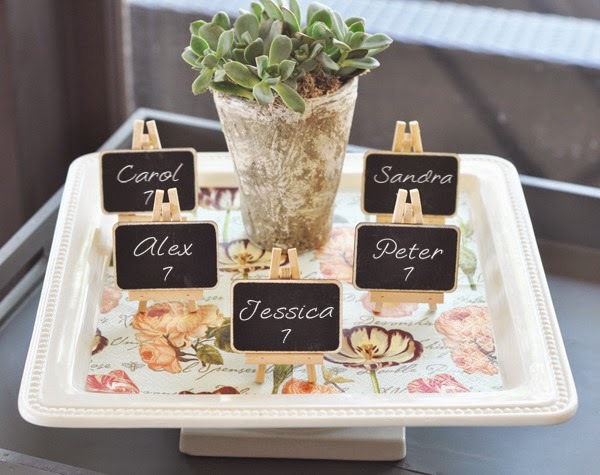 Use these Chalkboard Place Card Holders as food labels on the buffet. 6. A Memorable Send Off. 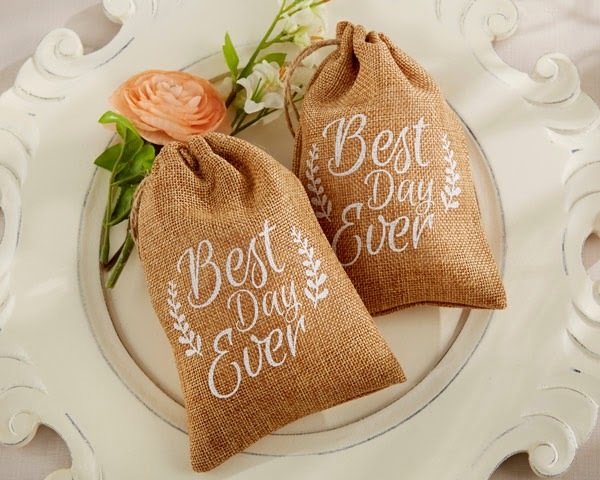 Thank your guests with a lovely "Best Day Ever" Burlap Favour Bags and fill these burlap bags with candy, coffee, or other sweets. 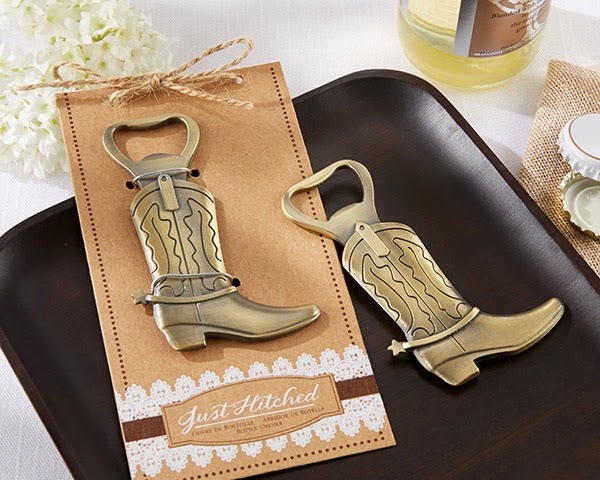 Another option would be this cute Cowboy Boot Bottle Opener to match the Cowboy Boot Place Card Holder we showed you earlier. Have a fabulous Country Wedding! They catered my wedding last month and they were amazing! Don't overlook this gorgeous location for vows!! It's something you have to check out in person. My family and friends could not stop talking about how good the food was and how sweet the staff was!